I had an email from a reader on Monday asking why I used the 50mm Zuiko f2 macro with the OM2 - a camera known for its compact size - when the lens itself was so big. I think I may have given the wrong impression when describing its bulk in the previous post I wrote. In the great scheme of things, the OM2/50mm f2 isn't really that big a combination - but it's not the smallest I have either. Yes, as the reader was keen to point out, the standard 50mm f1.8 or even the f1.4 are a better match for the dainty proportions of Maitani's masterpiece. There's little doubt that the Zuiko macro wouldn't make it onto the podium in a beauty contest nor that it makes the OM2 look unbalanced. But let's put it into perspective. 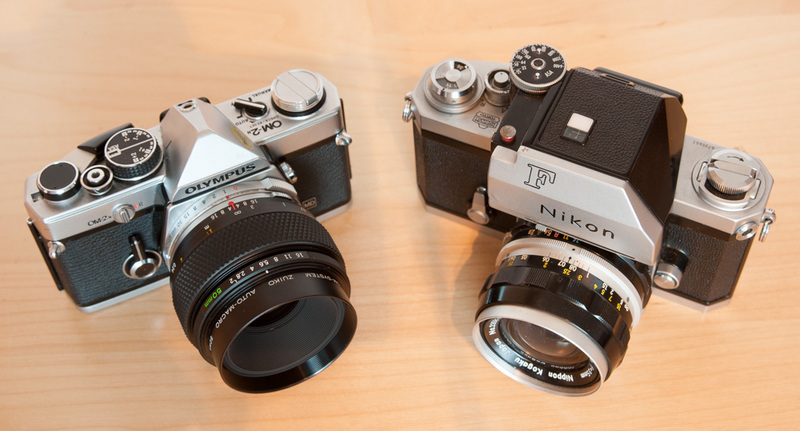 Here's (below) a Nikon F with 35mm f2.8 Nikkor - now that's a big and very heavy pairing! Or the XE-7 and 50mm f1.4 MC Rokkor which is somewhere between the OM2 and the Nikon. And don't mention the Nikon D700 I still have sitting around now almost as a paperweight such is the use I make of it (it came in handy for photographing the house before putting it on sale, though). The OM2 and 50mm f1.8 weigh a mere 683 gms, quite a bit less than my M2 and 50mm Summicron on 833 gms. 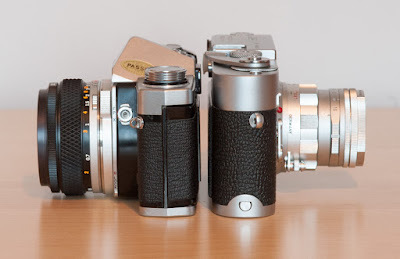 Looking at all of this another way, the OM2 and macro are more or less the same weight as an M2 and Summicron. Hopefully, that will give some readers more of an idea of the size of the Olympus pairing. Seen alongside the Minolta and Nikon, it doesn't look so much like a different camera as a different format. I did actually give some consideration to the best standard lens to use with the Olympus. I don't have an f1.4 but I have a few copies of the f1.8 and they're all pretty much the same which is to say very nice. There wouldn't be much point putting the f2 on the camera unless it offered some advantages over the much smaller standard and, indeed, it does. The 50mm f2 Zuiko excels at capturing wee vignettes such as this. The other side of the tracks. 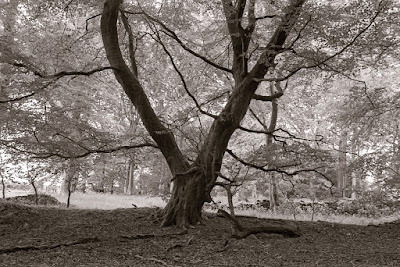 Another from the f2 Zuiko. I think I mentioned these in my earlier post but they include better bokeh, closer focusing and better build quality. The f2 is a tiny bit sharper but not so you'd notice unless you're shooting wide open. 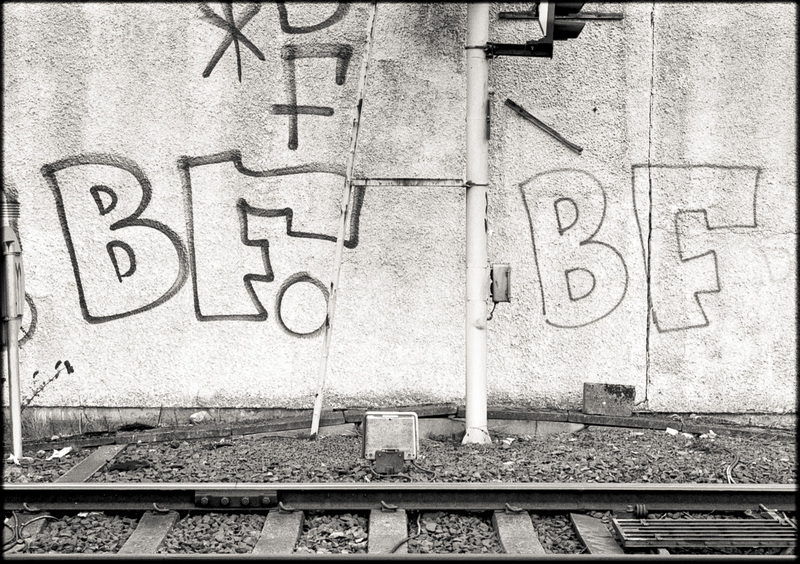 Stop them both down to something like f5.6 and I don't think you'd tell them apart even in quite big enlargements, if at all. Overall, then, the f2 is a very nice blend of attributes in an acceptably-sized package that feels very much like a high quality item - enough good reasons for me to plump for it over the f1.8. Speaking of size, it's amazing how little difference there is between the Leica M2 and the OM2. OM designer Maitani set out to create something along the same lines as the Leica rangefinder but in SLR form and succeeded spectacularly well. Maitani loved the size of the screw mount Leica IIIf and the M3's whisper quiet shutter and tried to recreate their best elements in a package half the size of existing SLRs. That perhaps explains why the M2 and OM1/2 are so alike in many ways. There even seems to be something of a thing going on among photographers who are into both rangefinders and SLRs with many of them owning the same or similar Leica/OM outfits that I have. It's anecdotal but I reckon an OM1/2 is the most likely SLR to be teamed up with an M. But take a look at the two of them and it's not difficult to see what the attraction is in the first place given their size and appearance. As individual SLR and rangefinder, they could easily have emerged from the same design team at the same factory. What wouldn't Leica give to be able to go back to the late 1960s and steal the OM design! Postscript: I've really got to get more use out of that Nikon F! It's maybe a big brick of a camera but every time I handle it I'm reminded what a wonderful, iconic and inspiring tool it is. 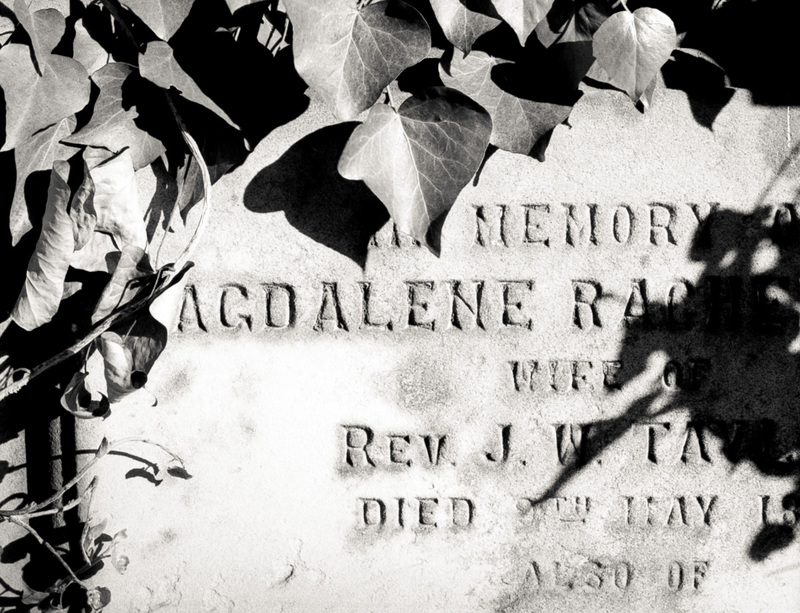 If only I had a decent 50mm for it. The XE-7 is no slouch either. My first SLR was the OM-10 and Zuiko 1,8/50mm lens that I bought over a Pentax K1000 and 1,8/50mm. That was 1978 and it was so light and easy to handle. Soon I had two of the OM-10 bodies and bought more lenses (zooms and primes). 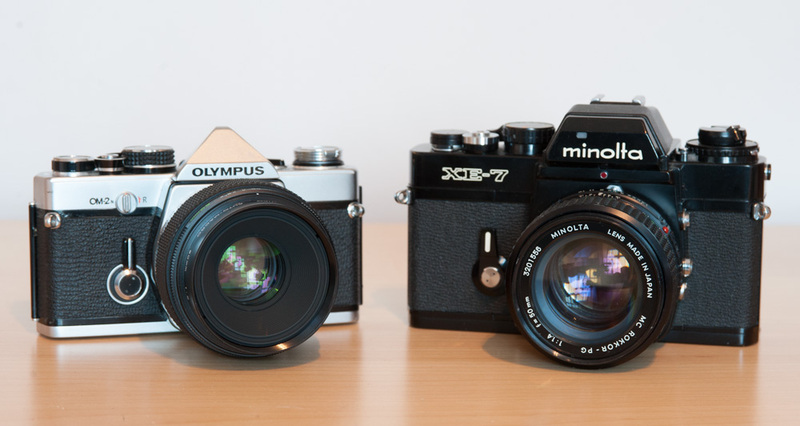 Eventually I added the Olympus winders, moved to the OM-2S and finally the OM-4T. Through it all (over a 20-year period), I loved my Oly gear. Now when I think of returning to film I lust after another OM-4. With its spot metering system, it was the best metering system ever available as far as I am concerned. The only other camera I enjoyed using as much was a pair of Nikon D2H bodies when I was a working photojournalist for a small weekly newspaper. I may have to do an eBay search of Oly gear and see if I can afford a switch now that I am retired!!! Hi Bruce - you should try the F with an 80-200 zoom (pre-Ai) - it's hilarious! I'm reminded of the fact that Olympus originally wanted to call the OM-1 the M-1 until Leica kicked up a stink. I used to have an OM-10 but never owned any of the pricier models. I have got a Pentax MX which is a similar size. I think you have one too Bruce, I wonder how you think it compares to its Olympus competitors? Can't compare OM-1 and MX with M40/2.8 pancake since I don't own Olympus system any more, but dang, MX+M40/2.8 is really tiny combo! That's an interesting question Michael. Think I'll write a post about it. Watch this space! You're thinking about weight with tiny little cameras? 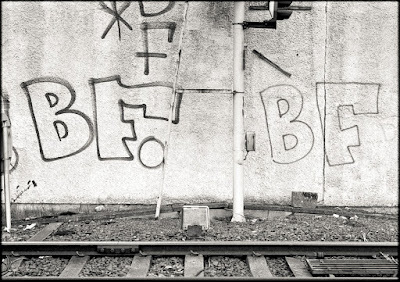 Try a Nikon F5 fitted with a 300MM f2.8 ED-IF for an afternoon. Interesting to see just how similarly sized the Olympus SLR is to the Leica M.
Of course Olympus have something of a track record for packing a lot into little space, as evidenced by the 35RC and my own "wee camera" of choice, the XA. On the opposite end of the scale, my Canon F-1 with lens and motor drive full of AA batteries isn't much lighter or less bulky than the Pentax 645 which has mostly replaced it. Stripped of the motor drive, the Canon is a nicely sized package though. Cause if you can the combination makes for some stellar images. I think that beyond the taking into consideration of the size and the weight of a camera, as you underlined Bruce, the héthatique aspect is to be taken into account. The only fact of feeling in total fusion(merger) with the device, brings a beneficial inspiration for the quality of your field work. The felt satisfaction adds again and again of the inspiration, until forget the weight of your device carried a whole day. For me too, the well-being which gets a device, its mechanical manipulation, its esthetic beauty are a source of pleasure. I spent several days the last year to photograph the Côte de Granit Rose(Pink Granite Coast) in Brittany with Minolta XE 7 and a 50 mm ROKKOR 1.4. In the view of photos back home, i can clearly feel through the photographs, the pleasure i had to use this gear all the day. 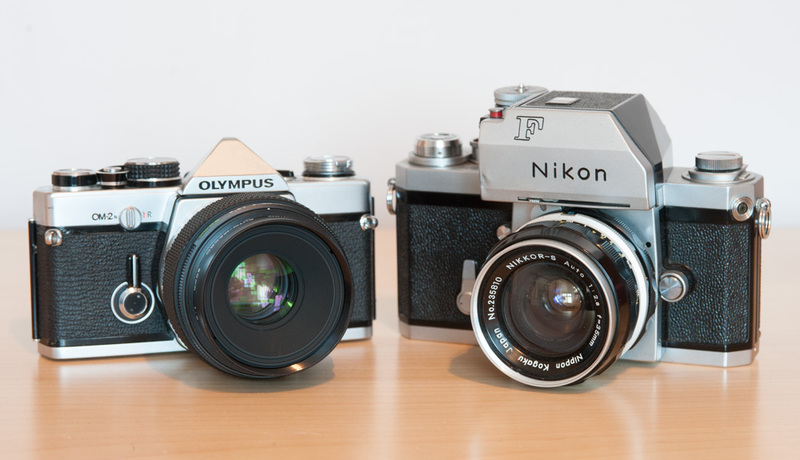 I have an OM1 from my dad and a Nikon F exactly like the one pictured from my grandfather. The OM1 is superior in terms of size and weight. However there is something about the way the Nikon feels and operates that I still like. Probably nostalgia. I shoot mostly MF however and am partial to waist level finders so the 2 35mms languish most of the time on the shelf. I can only use one camera at a time! ... and at the other extreme, the Crocodile Dundee effect of pulling a Kiev 60 with 180mm Sonnar and deep lens hood out of my rucksack at a local tourist spot.